What are the Components of “True” Cloud Hosting? Many web hosting companies advertise cloud hosting packages, yet some don’t include the integral services that encompass cloud server hosting. Less trustworthy companies often use the term “cloud” to attract new clients who are likely unfamiliar with it. Scalability, managed hosting, and accessibility are three vital aspects of cloud hosting. If you’re interested in purchasing hosting through a cloud server for your business, it’s a good idea to make sure you’re given access to the core elements it provides.Resource Configuration Cloud computing through a trusted hosting provider allows users to configure their settings, through an onApp control panel, to suit their needs and preferences. When you purchase true cloud server hosting, you can easily adjust your applications, software, and infrastructure from your client control panel. You don’t need to employ the services of a specialist or consult your company to do so, and can make changes to your pool of resources at will. 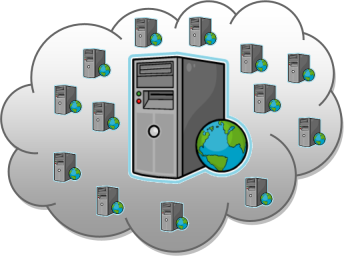 For this reason, many businesses rely on cloud server hosting, as it’s easy to customize. Private clouds can also be set up to secure mission-critical resources, leaving more room in the public cloud for others.Provisioned Updates Another aspect of true cloud hosting is fully managed services and upgrades provisioned by a web hosting company. One of the many advantages of cloud server hosting is the fact that users don’t have to purchase and maintain their own hardware. Hosting via cloud servers also cuts back on the costs associated with new upgrades. As a user, your hosting company will automatically provision updates to existing applications, saving you the hassle of having to purchase new software, which may or may not include components for which you have no use.Access Anytime, Anywhere Hosting on cloud servers allows companies to access their resources from anywhere, and using virtually any device. Rather than being confined to one area, you and your employees can complete work-related tasks without restrictions. Whether you’re at your desk, in an Internet café, or at home, you can tap into the information you need as long as you have an Internet connection. Naturally, this greatly improves productivity, and gives companies a stable platform they can build off of while on the go.